I got to Thursday of this week (when I usually write this post) and almost thought that I would have to skip it. I couldn’t think of one literal thing to put on this list, but what always helps is looking at my phone photos from the past week and just doing a survey of things by walking around the house. I found my five in way less time than I thought, so VOILA here is your Friday list! Neil and I are leaving to head to Banff National Park on Sunday for a couple days and I’m super excited. All the pictures I’ve seen are so beautiful and it’s going to be EPIC. Make sure you follow along on Instagram stories for all the behind the scenes! I always get sucked into plants and flowers at Trader Joe’s. They sneakily had this mini tree dusted with glitter by the register so I said FINE and picked it up along with a mini poinsettia as well. I don’t do much holiday decorating aside from putting up a wreath and the tree, so it was nice to have these little plants to add into the mix. 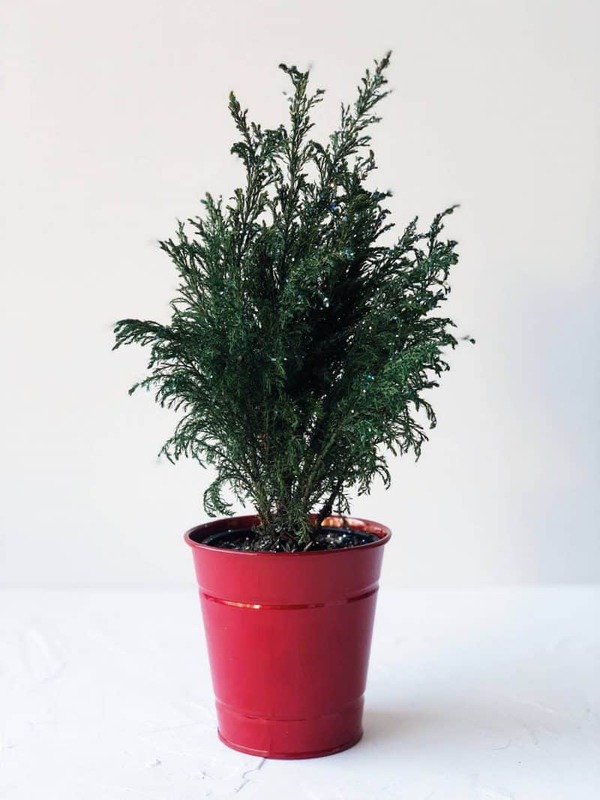 They also are stocked with my favorite mini rosemary tree which I used to get every year but for some reason wasn’t feeling this one. It smells delicious though and you can use it to cook! I’m starting to have a problem with my exercise pants now that the ol’ belly is growing. Normally I don’t think it would be as much of a problem at this stage, but because all my pants are compression for high-intensity workouts, they’re much tighter than, say, pants appropriate for yoga. 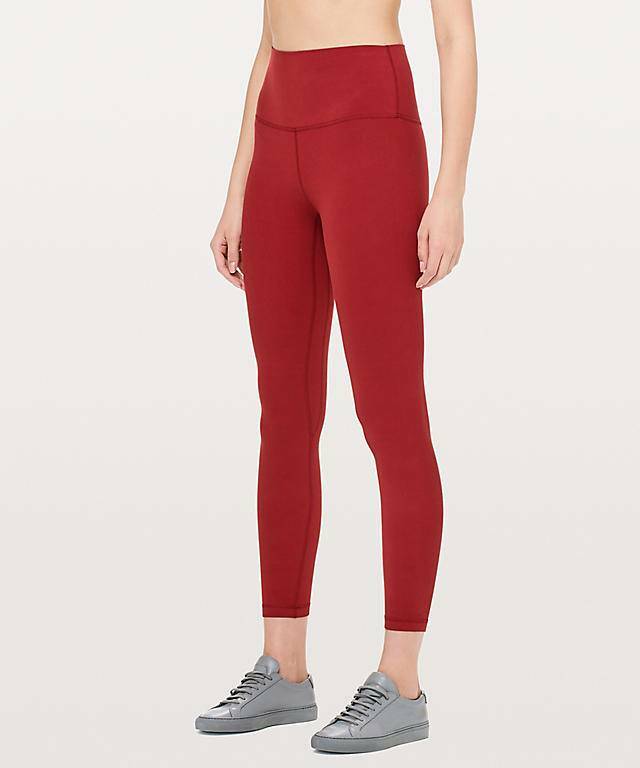 I’ve heard this from other moms, but rather than buy maternity-specific leggings, the Align pant at Lululemon is the way to go. I have a pair that were gifted to me in a size bigger and they feel so much better than my normal ones cutting into me in all kinds of weird places. They’re not really made for high-intensity, but I’ve worn them a couple times to the gym and they’ve been ok. I’ll report back if I find another solution but for right now these are great! 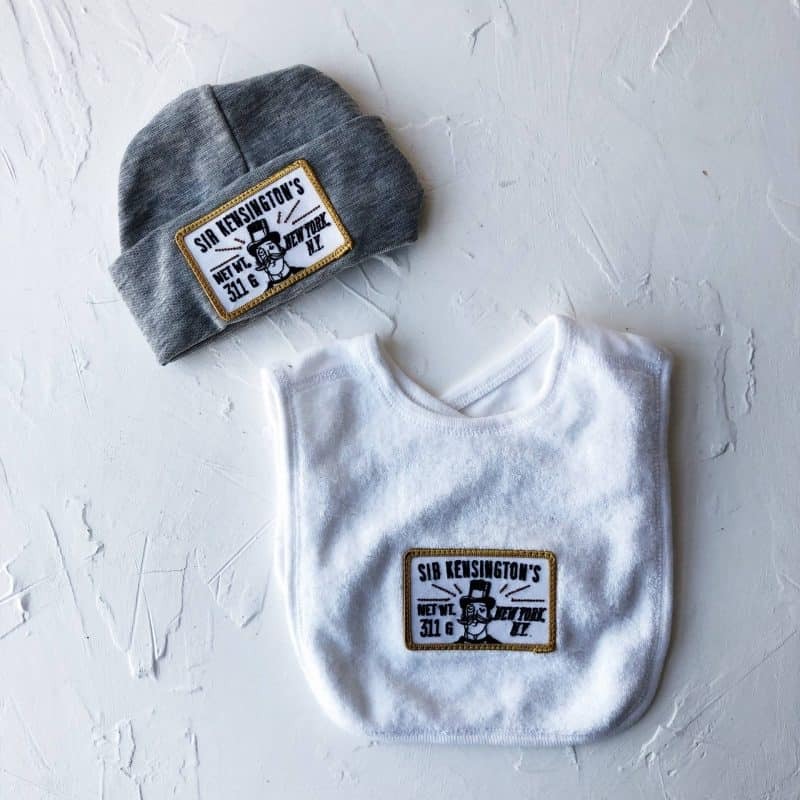 I received a package from Sir Kensington’s the other day and inside were the cutest little branded baby items. I love working with thoughtful brands and people and I’m glad that I’ve been able to nurture these relationships over the years. YOU GUYS THAT BABY HAT I DIE. 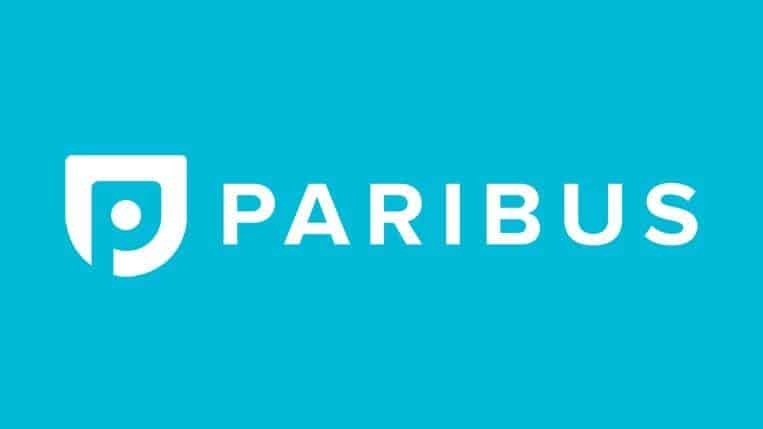 I shared this yesterday on my Instagram stories, but Paribus is a program I signed up for a long time ago and then forgot about. I remembered it this week because I’ve gotten multiple emails about late Amazon deliveries where I am eligible for some money back. Why I originally signed up was because it runs in the background and checks out receipts from purchases that go to your email. It then checks to see if the price goes down during a certain window of time and if you’re eligible for the difference, it will alert you. They seem to have added a new feature that tracks late deliveries and since the last three of my Amazon purchases have been delivered late, they simply email me letting me know I am eligible, give me a script to copy verbatim to Amazon, and customer service responds in less than a minute. I’ve gotten $5 back on each delivery that has been late! I’ve already mentioned that I am part of mastermind group with the blogging business mastermind herself Nicole Culver. 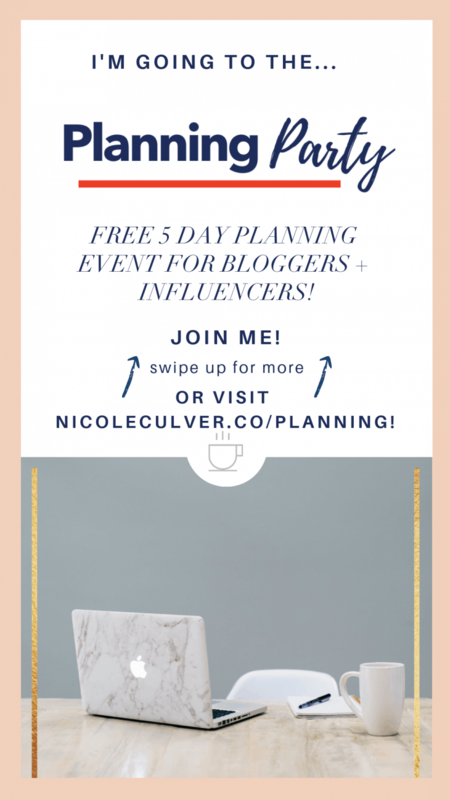 I also signed up for her planning party (FREE) that starts this Monday, Dec. 10th and is a FREE 5-day planning event for bloggers. If you’re like me and put off planning content ahead of time (or far enough ahead of time), this is a good way to be part of a community and get accountability for getting your sh*t together before the new year. Planning is something that saves me so much energy and stress and I’m always asking myself why I don’t do more of it, so I’d highly recommend signing up if you have this problem too! Dude, I felt the same yesterday about my Friday post! I actually finished writing it at 6 this morning haha! I can’t wait to see all your photos from Banff. I’m sure they’re going to be AMAZING! I just met with a friend who works at TJ’s and she told me to get the Rosemary tree when I mentioned that I wasn’t getting a full size Christmas tree this year. It’s such a good idea bc you can use the rosemary after! GENIUS! I like your little tree though. I’m hosting a holiday potluck and need SOMETHING. I guess I’m going to TJ’s! OMG the Sir Kensington stuff is adorable!